If so, I will review a game of your choice. Whatever it is, I will beat it as well, and I will write a review for it in full detail. Re: Is there anyone with enough courage to beat Legend and review it? I'm not a reviewer but I'll give Legend a go. Dang, how did it happen? I don't want glitches happening on me xD I'll try my best to fix it. Thanks xD I'm actively working out some minor kinks that I couldn't possibly figure out without help from everyone lol. I don't want the game impossible, but I want a fun playthrough. lol, it wasn't your game design that glitched me out, just a robot landed on top of me and pushed me outta the map. It was my fault lol. I'm not sure. The object of that level was to kill all the enemies, except I went over the whole map and all the enemies were killed expect one, I looked on my radar and there was one underground. 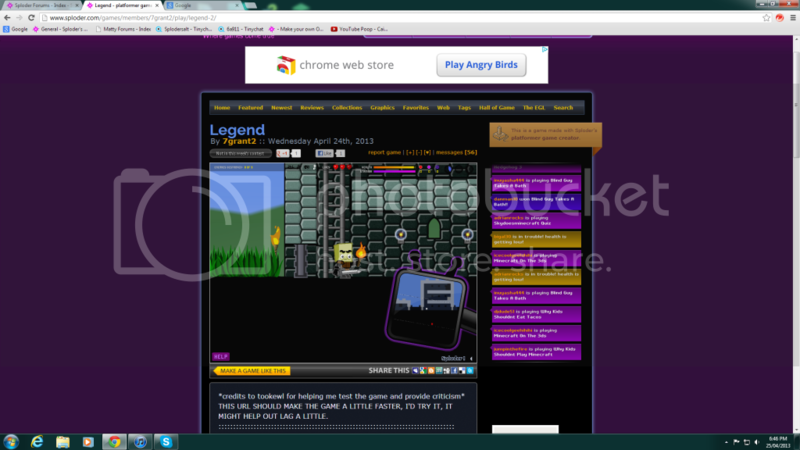 I have already beat and reviewed Legend.